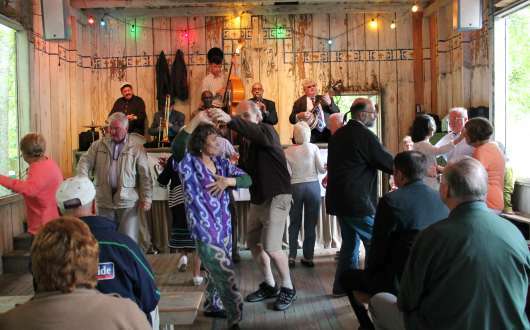 The historic Dew Drop Jazz Hall in Old Mandeville debuts a new season of Saturday evening concerts from March 9 to May 25, 2019. Presented by the Friends of the Dew Drop, all performances are 6:30pm-9:00pm. Admission for each concert is $10 per adult. Students and children can enter free. No outside food or drinks are allowed and lawn chairs can be used outside the hall on the grounds. The evening features home-cooked food for purchase provided by the First Free Mission Baptist Church, located next door. Soft drinks, water, beer and wine will be available for purchase. Parking is free throughout the residential neighborhood. 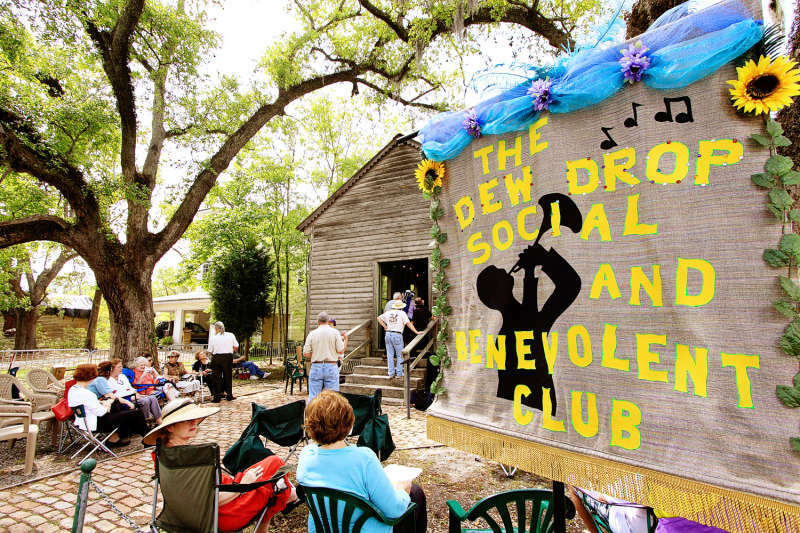 Built in 1895, the Dew Drop Jazz Hall, on Lamarque Street in Old Mandeville, is one of the oldest, unaltered rural jazz halls in the U.S. 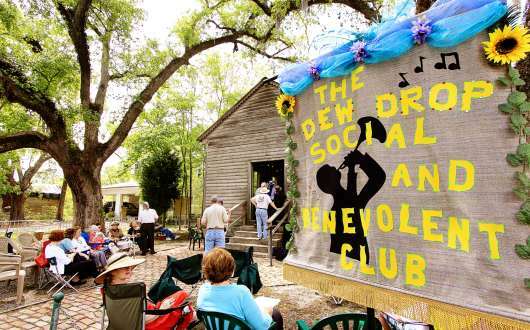 In 2006, the Friends of the Dew Drop, a not-for-profit 501(c)3 organization, was formed to schedule and manage the hall’s performances and educational activities. The Friends’ initiative, JazzKids, provides free music lecture performance programs to local St. Tammany Parish schools by renowned musicians, including Don Vappie, Helen Gillet, Jason Marsalis, the Shotgun Jazz Band and many others. 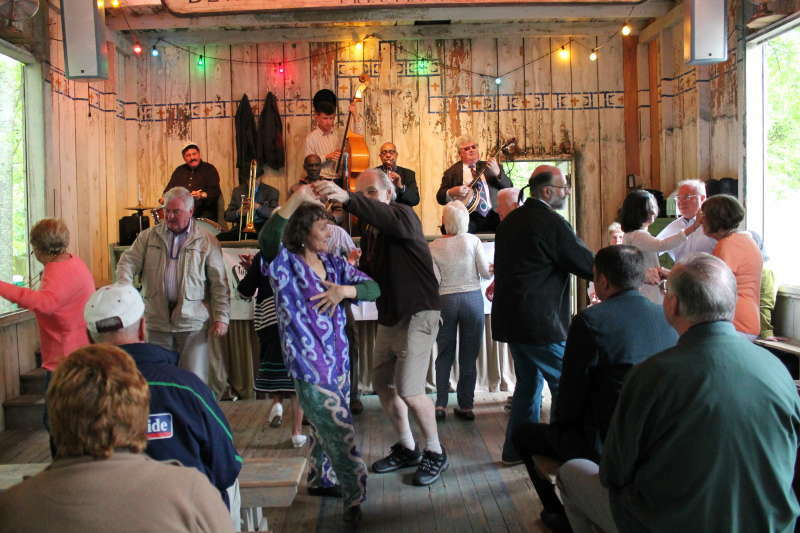 The mission of the Friends of the Dew Drop is to preserve the Dew Drop Jazz Hall and promote its significance in the origins and the cultural history of Mandeville though jazz and blues performances, music education programs and benevolent activities in support of local, emerging artists. 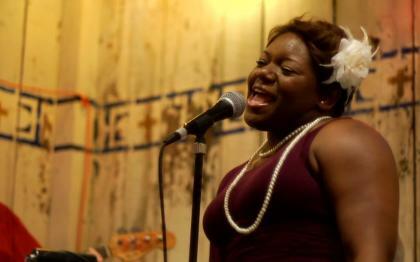 More information on the Dew Drop is available at www.dewdropjazzhall.com.